Customized enrichment can be provided within the classroom for students excelling in various subject areas. To further address the needs of students who would benefit from additional challenge in their educational experience, we offer a Think Tank program, which is a pull-out program designed to enrich the curriculum for students who score 130 or above on the Cognitive Abilities test in Grades 1-6. 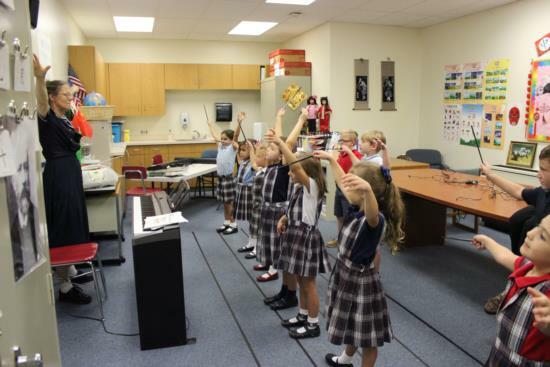 Additionally, students in grades K-1 participate in an enrichment music program that focuses on solfege ear training and other methods beyond our traditional music classes, and students in grades K-3 participate in an enrichment art program comprised of lessons about famous artists, authors and musicians and their works.